Shormanbaeva Dinara Gosmanovna, Kazakh, higher education. She graduated from Karaganda State University. EA Buketova specialty “Psychology”. She graduated from the magistracy of the Karaganda State University. E.A. Buketova, at the end of which an academic degree was awarded a Master of Psychology. In 2014 she graduated from the PhD doctoral program at KazNU named after. Al-Farabi on a specialty “Philosophy”. She defended her thesis, awarded the degree of Doctor of PhD philosophy. 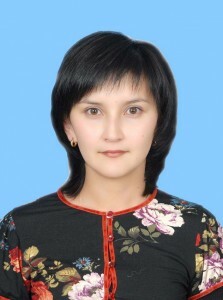 Shormanbaeva D.G. has been working in Karaganda State Technical University since 2002. Currently he is teaching classes in Sociology, Philosophy and Political Science. He is the author of the monograph, has published more than 30 scientific articles, a manual, slide lectures, multimedia presentations and methodological support in these disciplines. The main direction of scientific research is the problem of socialization, personal adaptation in the conditions of the sociocultural transformation of Kazakhstani society.